"Welcome home! 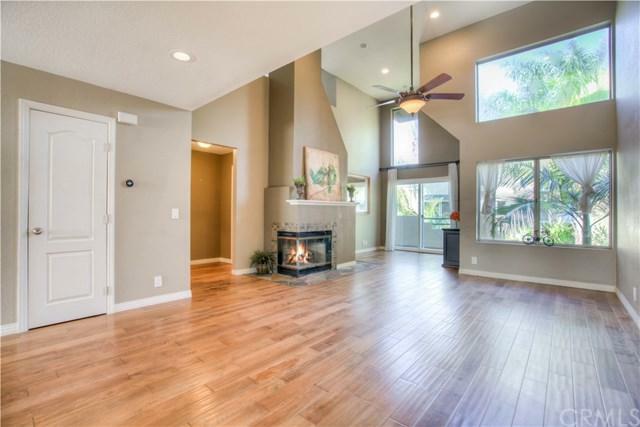 In the beautiful community of Rainbow Ridge this "Plan C" spacious floorpan offers vaulted ceilings, wood floors, recessed lighting throughout with a beautiful mosaic fireplace. Kitchen includes stainless steel appliances, granite countertops and new side by side washer and dryer. New light fixtures, open kitchen, dining area, space that functions as a home office or media nook and master bedroom on the main floor with walk-in closet. Large balcony overlooking pristine community pool and surrounding greenbelts. Prime location walking distance to shopping, dining and schools. Including Mission Viejo Lake membership, Lake privileges include fishing, boating, concerts, picnic grounds, sandy beaches and much more! Sold by Erika Schulte of Coldwell Banker Res. Brokerage. Listing provided courtesy of Michael Armendariz of Lw Realty, Inc.